$1 off per person your next game within 10 days using your scorecard as a coupon. Ages 4 & Under Free! 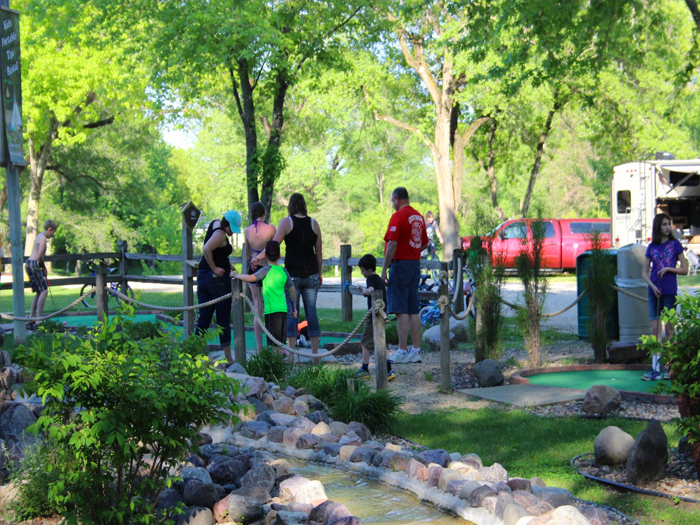 You can play one of the nicest adventure mini golf courses right here at Indian Trails. 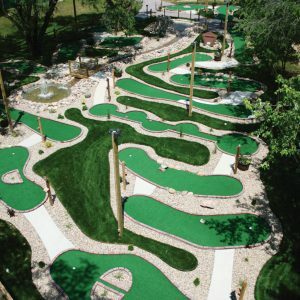 This 18-hole course is lit for nighttime play and features two ponds, a river and a waterfall. Enjoy a relaxing game of golf before the family campfire gets underway. This professionally designed course is good for all player abilities. Nine of the holes are wheelchair accessible.